Quicker Clicker Automatic Pencil offers a unique side action, lead advance button that advances lead without changing the normal writing position. Pencil design features a latex free rubber grip, large stationary eraser, stationary tip and fixed sleeve. 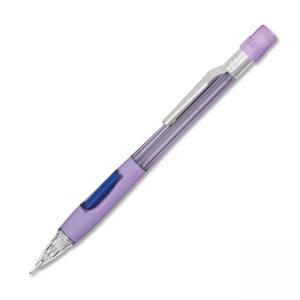 Refillable with Pentel Super Hi-Polymer Lead and PDE-1 large refill eraser.